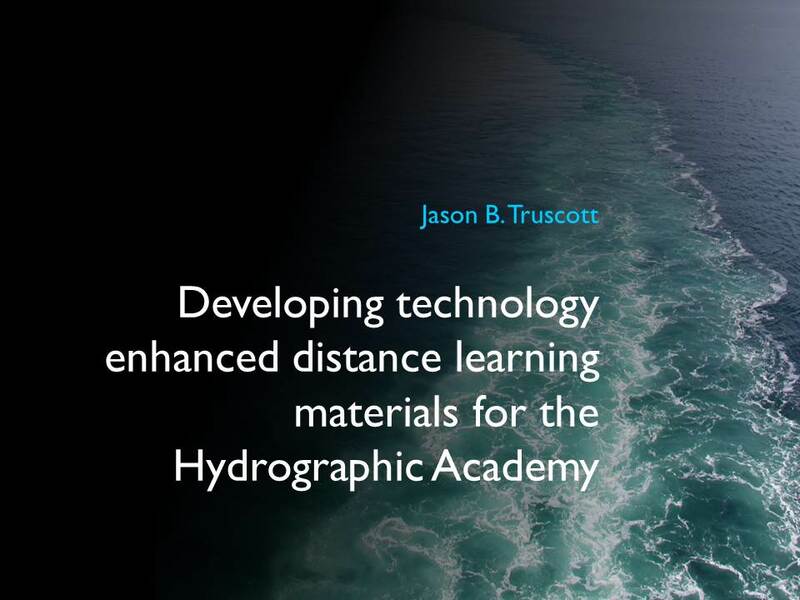 I was pleased to be invited by Fiona Grieg (Content and Development Manager, Plymouth University Library) to speak at the E-Book showcase, an another opportunity to present again for the Hydrographic Academy. I wanted to concentrate on the materials that are used in the interface, rather than the interface itself. Discuss the concerns of copyright and also give a bit of insight into how Learning Technologists can aid in this development. I only had 15mins to talk with the remaining left for discussion, so it was difficult to pack in all the essential background before continuing. Feedback included being impressed with the user interface, a lot of questions on why USB stick (should we have encrypted them? Although these concerns we actually related to their own in-house problems rather than a problem with our content!) I was also asked how well did the tutoring work for an interface that contained predominantly off-line e-learning content? 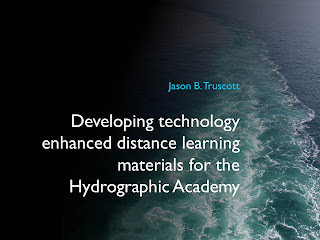 The Academy chose the offline approach so as not to disadvantage students working on-board ships or locations with poor internet, this of course has to be balanced with a little on-line for tutoring to be effective (for the times when students have a connection). Thank you for the strong support from the Learning Technologist! All in all a very good debate and feedback. I will add that I also enjoyed the line up of speakers (below), there are certainly crossovers of development in all these areas, something that Learning Technologists are willing to help develop. I often work with digital mapping and mobile devices utilising GPS, and found John Abraham's talk very interesting. I'm currently applying a little learning technologies to John's GeoTrail that will enable students and visitors to explore the wonders of geology in and around the University and Plymouth. The Charles Seale-Hayne Library had invited a number of major academic publishers to talk to staff about e-books on Thursday 26 April between 10am and 2pm.